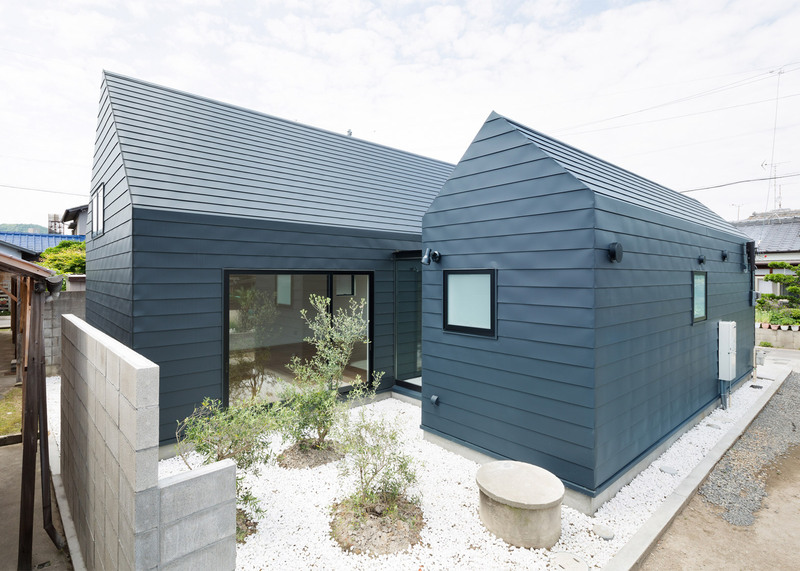 To help this community centre blend into its residential setting in Takamatsu, Japan, designer Yasunari Tsukada divided the building up into two house-shaped blocks (+ slideshow). 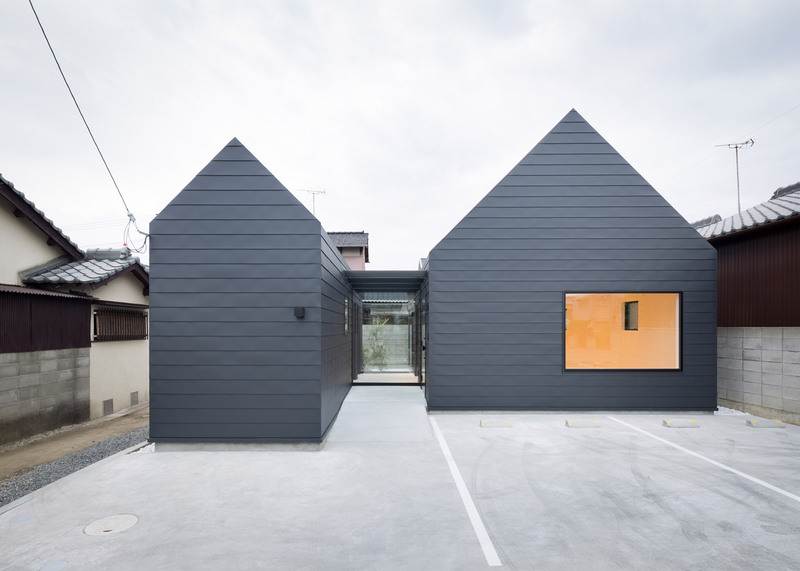 The Sanjo Hokusei Community Centre is located in a densely built-up neighbourhood, so Osaka-based Tsukada decided to disguise the building's size by splitting it between two smaller blocks. 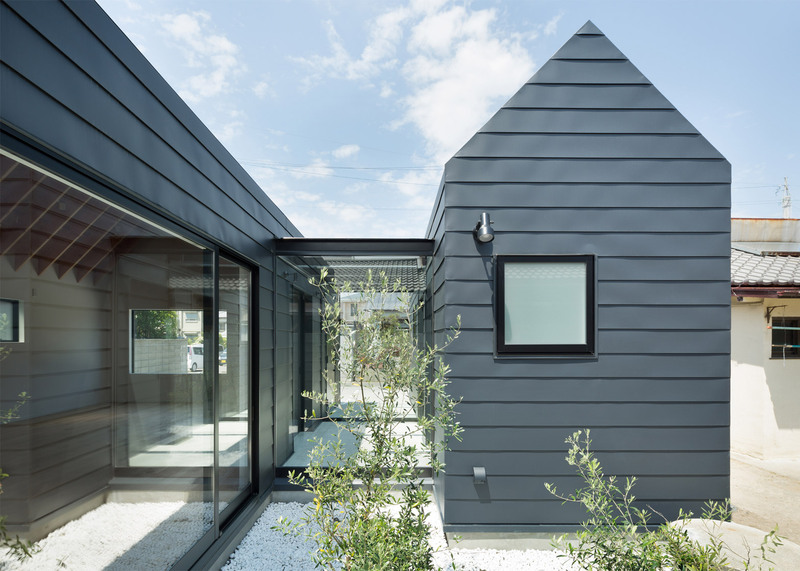 Both volumes have a traditional gabled form, allowing the building to fit in with its residential neighbours. 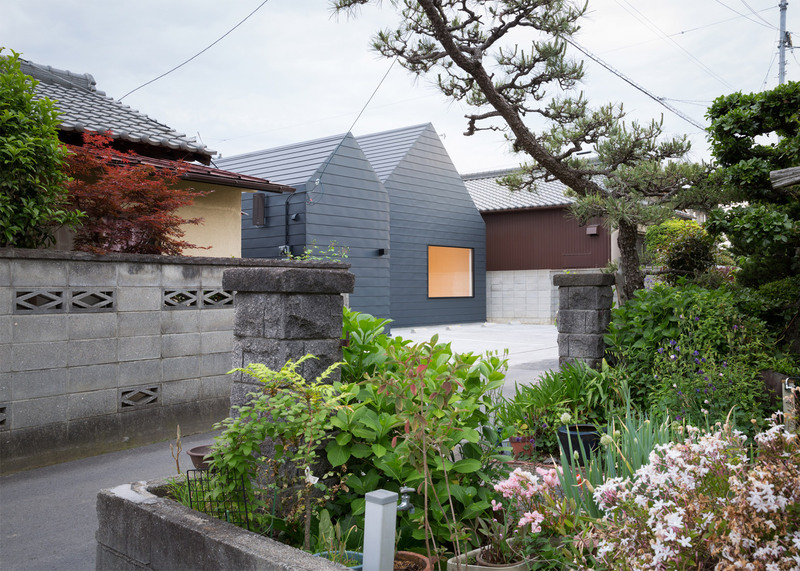 Intentionally smaller than neighbouring houses, the two blocks both feature a facade of grey metal cladding panels. The largest block contains a meeting hall, while the smaller one houses a kitchen, toilet and store room, and they are are linked by a narrow glazed passageway. 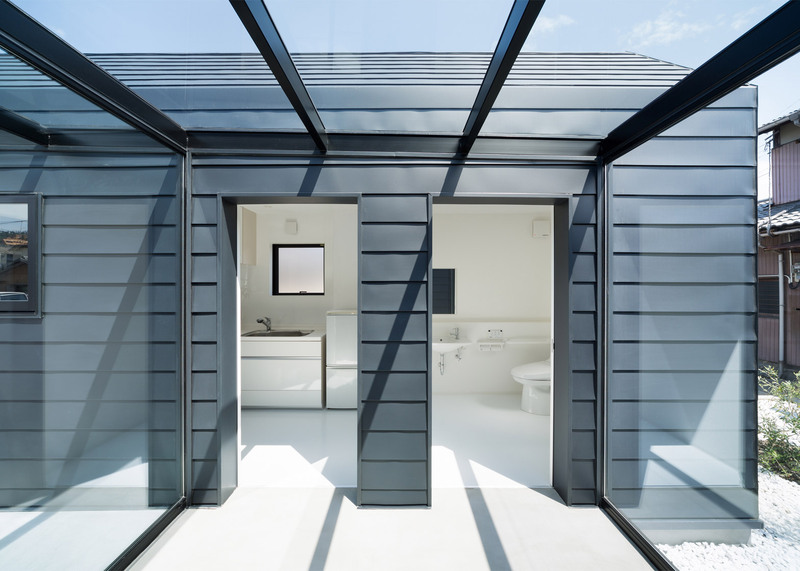 Japanese firm Ryo Matsui Architects employed these same tactics in its design of a hairdressing salon with a glazed gable. 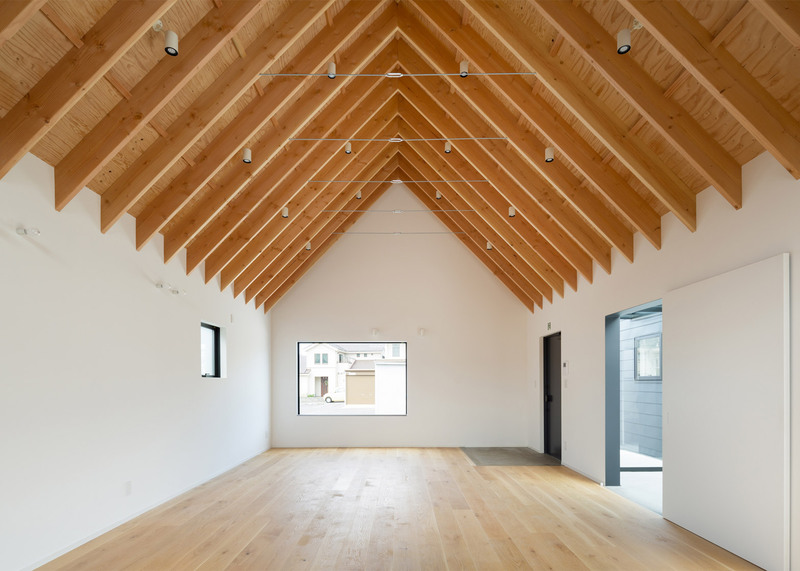 "We divided the community centre into a "meeting room" and "other functions" so that we have a community centre that looks like two small houses next to each other, instead of having one big building that would stand out too much," said Tsukada. "By separating, we were able to downsize each building and harmonise the buildings with their surroundings." 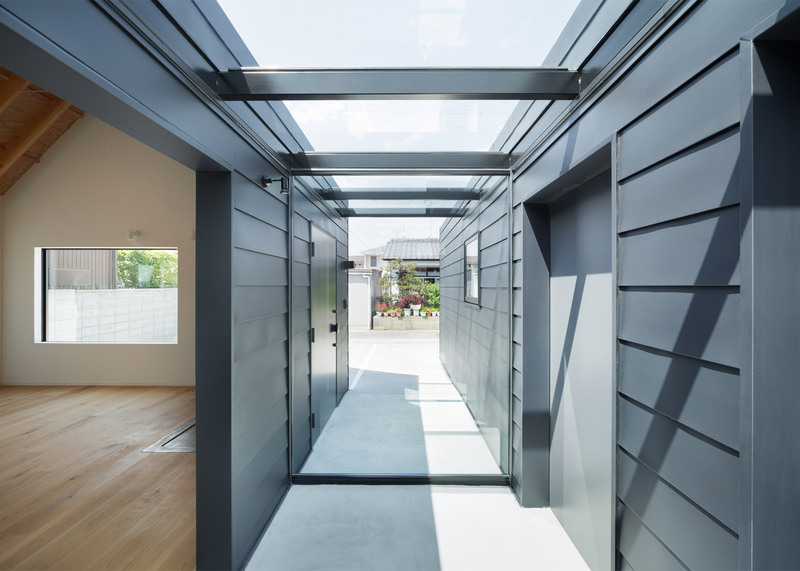 The centre is accessed through a glass door situated between the two blocks – a feature that helps to optimise the availability of natural light on the overlooked site. The glazed entrance hall gives views through to a gravelled garden at the rear of the site, and is intended to reference the pathways found between neighbouring houses. "The site within the built-up town is surrounded by a number of alleys," explained the designer. "What we tried to do was to create the centre in the town, relevant to these alleys and houses." "The buildings were deliberately designed smaller than houses in their neighbourhood, which then created space and alleys in the densely-built community. The timber roof structure is left exposed across the interior of the meeting room, matching the wooden floorboards. Walls are painted white throughout. 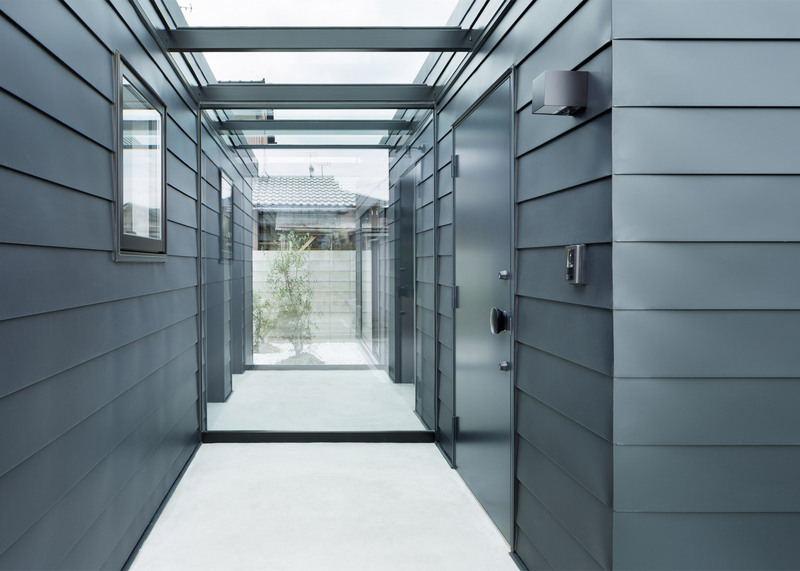 Large windows face onto the garden courtyard, but facades facing neighbouring residences have smaller openings that are placed high in the walls to avoid infringing on privacy. 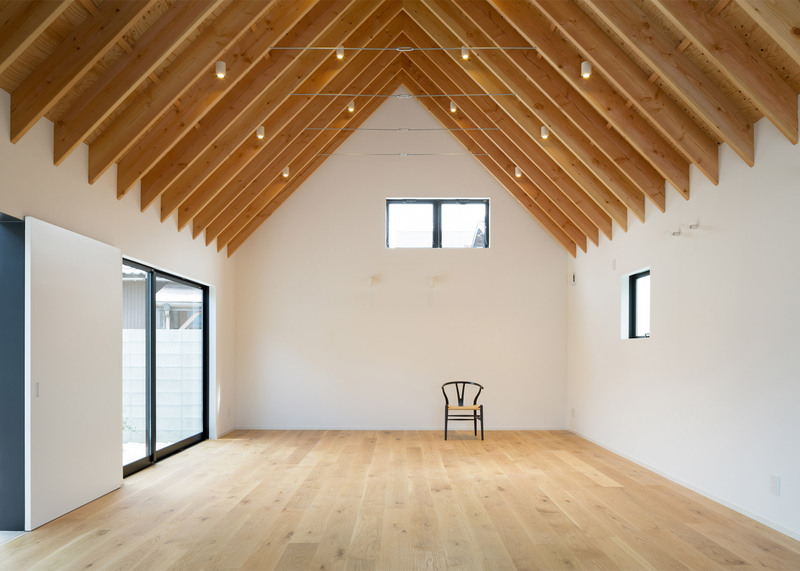 Yasunari Tsukada, who established his Osaka design studio in 2012, previously overhauled a local beauty salon with latticed timber work-stations and added a mezzanine floor to a bright white house in Takamatsu.